It isn’t big news that NBC is struggling in the ratings these days. Even their strongest shows seem to be operating below industry standards these days. So, it is no surprise that they would bring back some cost effective shows like Last Comic Standing and The Sing Off. Neither had stellar ratings, but each were solid enough compared to their cost. Craig Robinson, most famous for playing warehouse manger Darryl on NBC’s The Office, will be hosting this years version of Last Comic Standing. He will be replacing Bill Bellamy as the host, who hosted for seasons five and six. The open casting calls for season 7 start this weekend. NBC also has plans to bring back the acapella reality competition The Sing Off. “We’ll be bringing ‘Sing Off’ back. We don’t know when. But we believe we’ve found a little gem, one we can buff up and make better,” NBC reality executive Paul Telegdy said. It is still up in the air on if they will bring it back as a weekly broadcast or air it over a short period much like the last one. 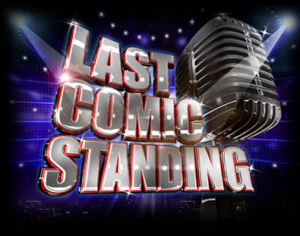 I like Last Comic Standing. I kind of know a contestant from a previous season, and it got me to start watching the show. Although, I think that the show isn’t for all types of comics. Being a network show many of them have to hold back a lot of their funnier material, because it wouldn’t play great to a national audience. The Sing Off was horrible though. The performances were boring, and a bit silly to watch. I did like Ben Folds as a judge, but not enough for me to keep watching the show. We’ll see how it does in the long run, maybe the second season will have some better performances.